FugginSuggin.com: Whoever controls the Middle East controls the World??? Ohhh, Noww I get it! Whoever controls the Middle East controls the World??? Ohhh, Noww I get it! 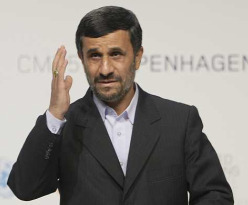 It has been reported that Iranian President Mahmoud Ahmadinejad said in a Tehran conference Saturday that whoever controls the Middle East controls the world. I knew there was more to this than just "the axis of evil" and "TERROR." The U.S. Gov't has increasingly advertised to the American public their international relations issues with Iran. Recently, the Senate passed sanctions regarding products that are imported from Iran or exported to Iran.